We have so far seen, how compatibility of Order Delivery Date Pro for WooCommerce plugin works with around 5 other plugins and have discussed its related Custom Delivery Schedules. Today we will learn about the compatibility of this plugin with UPS Shipping Method by WooCommerce. UPS Shipping Method by WooCommerce allows you to get shipping rates from the UPS API. 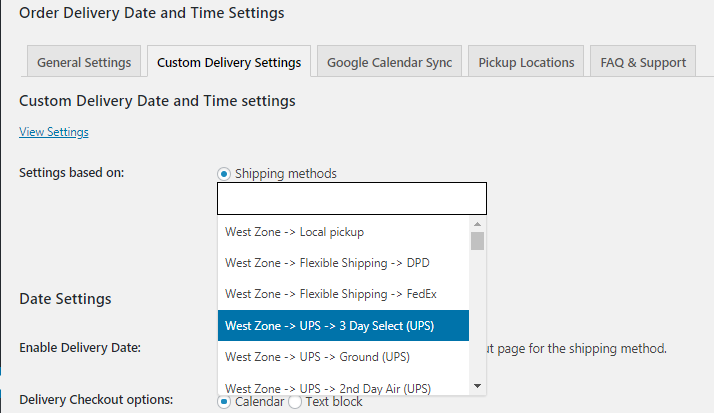 This integration with our plugin would allow customers to choose their delivery date and time for all UPS shipping deliveries and for different shipping zones. The services which are enabled will be shown in the dropdown list of Shipping Methods under Order Delivery Date -> Settings -> Custom Delivery Settings tab and the ones not enabled will not be displayed. Thus, when the above dimensions of the box matches the dimensions of the selected product in the frontend, custom delivery settings will be enabled. This shows that the delivery can take place on Monday, Tuesday, Wednesday and Thursday as per the settings added. This will reflect on the frontend Checkout page when UPS Shipping Method condition is met. As you can see, the calendar on the Checkout page shows the delivery days of 3 Day Select (UPS) option enabled. 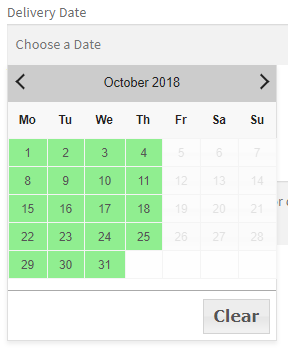 As per the settings added in the backend, deliveries can take place between Monday to Thursday, hence you can see only those days enabled in the calendar. 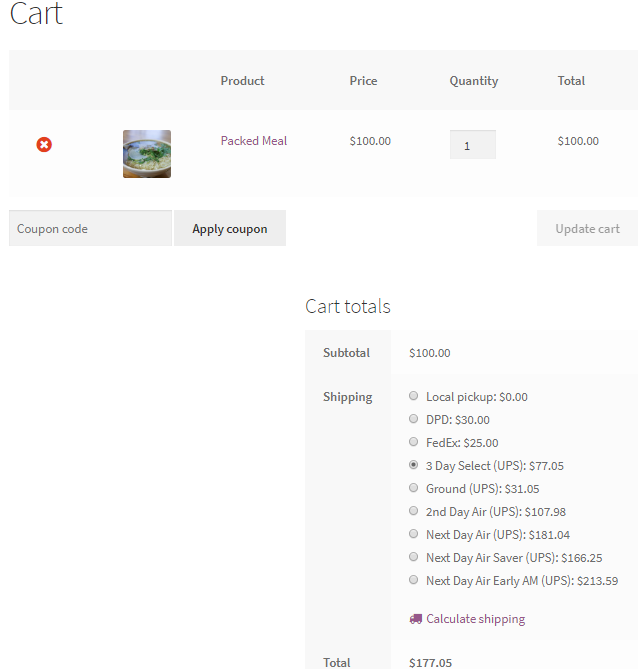 In this post we saw how the compatibility functionality of Order Delivery Date Pro for WooCommerce plugin with UPS Shipping for WooCommerce plugin works. Customers can avail the facility of selecting their desired delivery date & time from range of shipping options, which in turn helps the shop owners to provide additional service to their customers for better order delivery experience.